In this real world example, an IDX Solutions optimized website developed by Lead Performer attracted 4,010 unique visitors over a four month period. This is built around our cutting edge ‘patent pending’ IDX technology. Lead Performer generate more leads (at a lower cost per lead) than the other lead generation companies. Our sites generate more organic ‘free’ traffic than other lead sites, and our dedicated SEO team can help you take this to the next level. More available choices in lead generating options, with custom tailored landing pages specific to the uniqueness of your market (whether your specialty is working with International buyers, Veterans or Bank Owned, for example). Our search engine marketing team works continuously to lower the cost of your leads over time. Other companies simply don’t spend the time on this, or understand how to do it effectively. Split A/B testing of landing pages. 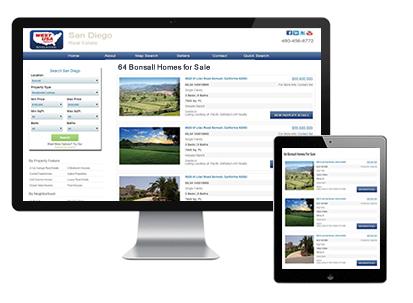 In this real world example, an IDX Solutions optimized website developed by Lead Performer attracted 4,010 unique visitors over a four month period. 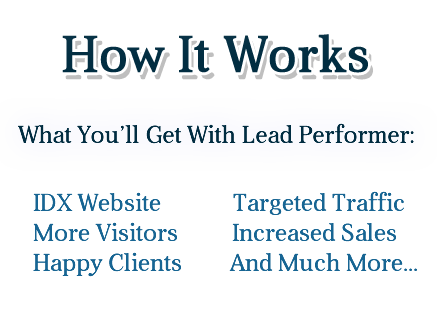 The lead capture rate is the number of leads that were capture by the website. In this case, 473 leads were captured from 4,010 visitors. This translates in to a capture rate of nearly 12%! Lead Performer websites are built to achieve a high conversion rate. Each time a new visitor fills out the short form on your website, the lead is sent to your dashboard. Your leads are sent via email & SMS to smart phones. Your potential client will have access to using the interactive map, street view, saving multiple searches, & receive new property alerts which achieves more leads.